Wouldn’t it be nice if shopping for your perfect used car, truck, van, or SUV were as simple as visiting one dealership, selecting your favorite vehicle, getting an excellent offer, and taking the keys? Well, if you know where to shop, that can sum up your experience pretty well. 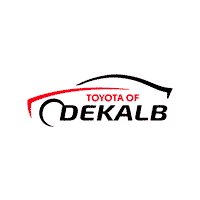 And if you don’t know where to shop, we’re here to tell you: Toyota of DeKalb. At our dealership near Sycamore, IL, we have a fantastic inventory of high-quality used and certified pre-owned vehicles for you to browse in your search for the perfect one for your needs, desires, and budget. What’s more, we have special offers and incentives to make your favorite vehicle even more affordable than you thought it could be. And because we are singularly committed to offering our valued customers the best possible deals on the vehicle at the very top of their wish list, you can count on getting an extremely attractive price. You can shop for your ultimate used vehicle bargain without even leaving the comfort of your home. Just check out our online inventory to get an overview of the vehicles we currently have in stock. In addition to our high-quality pre-owned Toyota models, you can find popular selections from brands like Ford, Kia, Chevrolet, and many more. You can filter your search by make and model, year, mileage, price range, and other factors to save time and find just the ones that suit your needs and specifications. While you’re on our website, you can get a head start on the purchasing process by filling out a finance application and seeing how much your trade is worth. This will give you a better idea of how much vehicle you can afford, so you can make a well-informed decision when it comes time to buy. Then, when you arrive at our dealership, you’ll be ready to get down to the fun part of the whole experience – test driving your top picks and finding out how much you can save! Our used inventory is constantly changing as smart shoppers snap up amazing bargains on the high-quality used cars, trucks, vans, and SUVs we stock. To make sure you don’t miss out on your perfect pick, don’t hesitate to contact Toyota of DeKalb when you see a vehicle in our inventory that you’d like to take a closer look at. Then head our way to check it out in person and take it for a spin. We can’t wait to help you find your ideal used vehicle for a price that’s just right for you. Stop by today and find out how simple the car buying experience can be!